The government of Nova Scotia has made an announcement that it had agreed to admit 300 more applications in the Nova Scotia Demand: Express Entry Immigration Stream, from October 11th. These applications should be under Category B and a job offer is not mandatory, but all candidates in the Express Entry who are eligible must possess work experience in the entitled occupation. They can apply for a provincial nomination through the Nova Scotia Nominee Program. It is aligned with the enhanced Express Entry - stream, which gives 600 additional Comprehensive Ranking System points to the successful applicants. They also receive an Invitation to Apply leading to an application for PR in future draws in the pool. 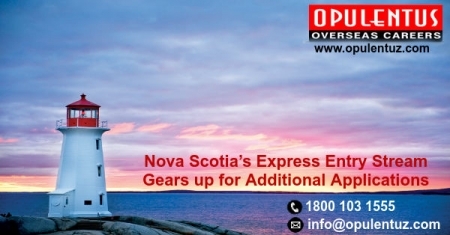 Category B of Express Entry of Nova Scotia PNP has been a popular aligned stream and sees quick intakes. The candidates interested in applying need to be well prepared. They must also review eligibility in all the spheres and ensure that documentation is duly complete and up-to-date. This stream is likely to be reopened again in the future, and provide great relief to the aspiring applicants who prepare well in advance. This Express Entry stream works on a first-come, first-served basis. Eligible Express Entry candidates who have the required work experience in the following occupations can forward their applications. • Have a profile in the Express Entry pool. • The other criteria as listed above for eligibility requirements hold good for Category A. Applicants need to have 67 points on point- grid, and have sufficient educational levels and language abilities. Nova Scotia is an Atlantic Province located on the east coast of Canada. It is a Maritime’ province and has a historical, significant, and geographic relationship with the ocean. It provides greatest opportunities to newcomers to settle in Canada and have a good life.